We always have something new on tap. A great little tap house! A great little local tap house with excellent service, friendly people, excellent live music, and you can bring your takeout meals from local restaurants to enjoy with your brews!!! Good beer without an attitude! Good beer without an attitude. Owners are hearing impaired so ordering is done through sign language and white boards. Makes for a fun experience. Big selection of beers, lots of local stuff, rotating taps so there's always something new, a few bottles, cans and NA drinks also. Outside food is welcome. Nice patio out back. Where are the best places to get food? We Now Serve FOOD! 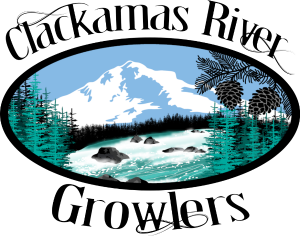 We have many restaurants in Estacada that you can order to go and bring it in to CRG to eat with your favorite brew. Find a list of Restaurants on Play Estacada. Of course not! There are many ways to communicate and even though the owners are deaf there is a good system of ordering. If you want to learn the basics of sign language this is a great place to start! Can i reserve the patio for my party? Good question! i will ask Mark.